MERRY CHRISTMAS! Christmas is celebrated on January 7, 2018 for those following the Julian Calendar. This applies to many Eastern Orthodox Churches. A custom is to refrain from meat on Christmas Eve. The Julian calendar was also used in Europe until 1582 and in England until 1752. The Gregorian calendar replaced the Julian. Pope Gregory XIII introduced this calendar which corrected some inaccuracies of astronomy. The Julian Calendar is 13 days behind the Gregorian. Russian, Serbian, Macedonian, Coptic, Georgian, Ukranian all follow this date for Christmas. 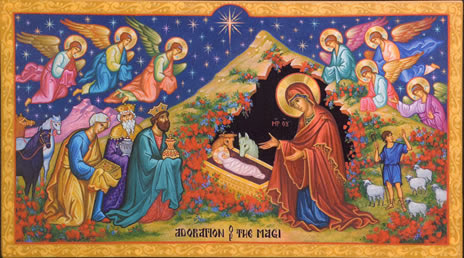 Most American Orthodox follow the Revised Julian Calendar which uses Dec. 25.